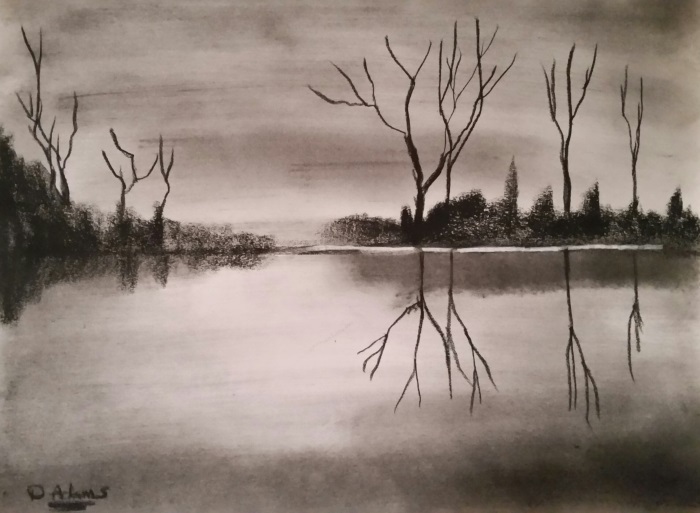 This category contains my collection of charcoal drawing and portraits. 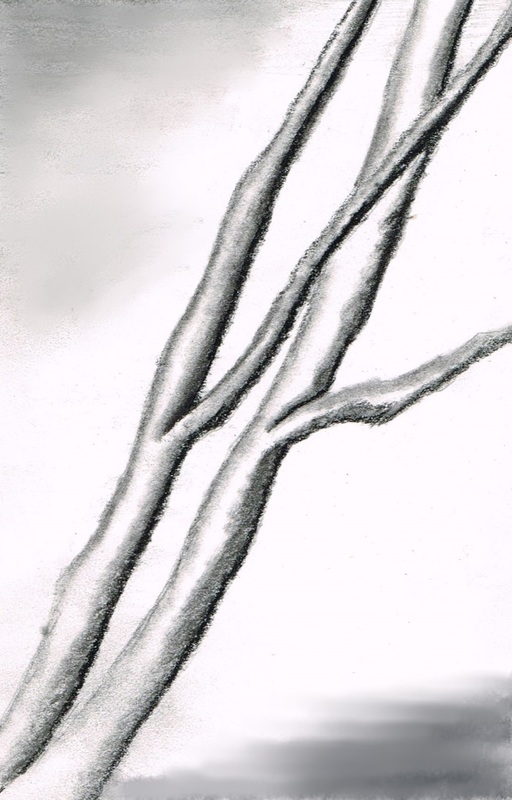 Some artworks were created with both charcoal and graphite and is indicated in the post. 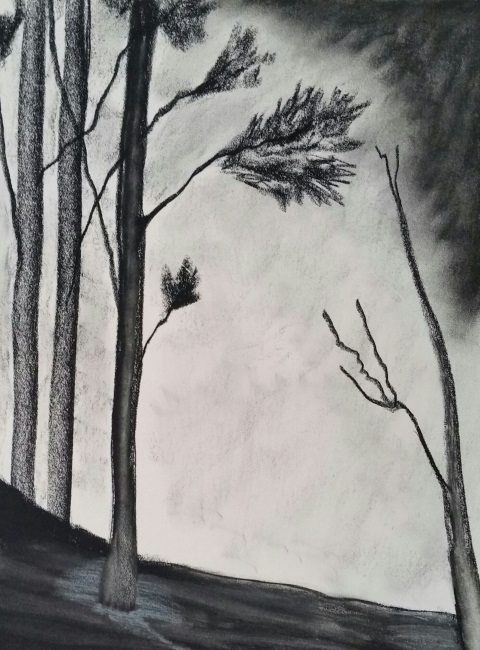 Charcoal drawing of a couple of dead trees. It’s nothing much more than a quick doodle to help me get in the mood to begin to create again.